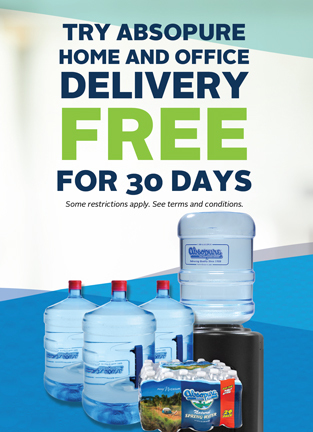 Don’t wait until you’re thirsty! 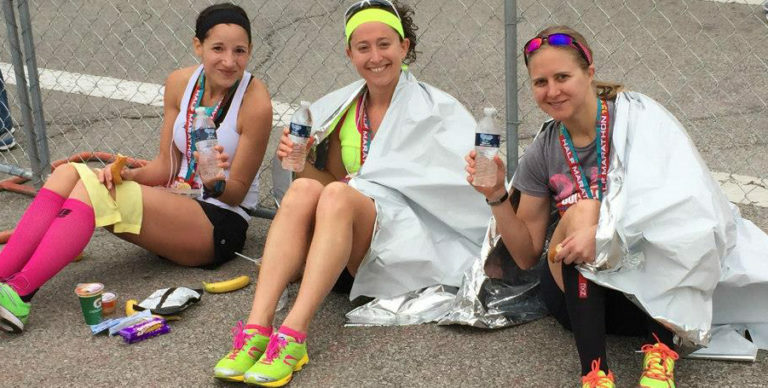 Stamp this on your forehead and ingrain it in your psyche—the first rule of thumb (especially when hydrating for a race) is: waiting until you’re thirsty means you’ve waited too long! Moving forward, however, waters get a bit murky. When should you hydrate? How much water should you drink, and how often should you drink it? Formulate a plan based on training and event distance, but keep it flexible to allow for more or less fluid intake as needed. 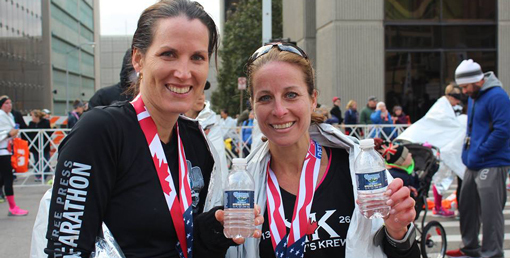 Stay well-hydrated in preparation for race day, no matter how short or long the race. 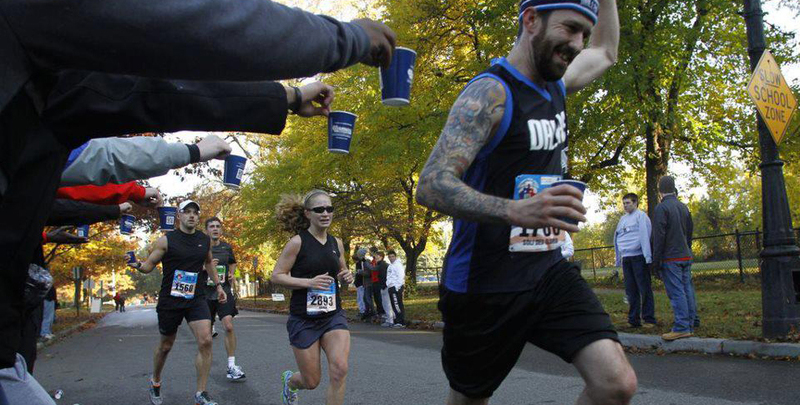 Consume a modest amount of water at least one hour before the start of the race. Keep a water bottle on hand to sip throughout the day. Drink enough to keep thirst at bay, but not so much that ‘stomach sloshing’ sets in. Individual needs vary based on your build, efficiency, mileage and weather conditions. When it comes to staying hydrated, practice makes perfect—or close to it as possible. Learn where aid stations will be provided. For longer races, hydration handhelds/belts/packs can be beneficial, allowing one to hydrate as needed versus on command. Smaller sized bottles may be carried and refilled as necessary. The longer the event and the warmer the temperatures, the more fluids the body likely will need. Drinking on the run is ideal but proper hydration is priority number one. Stop and/or walk while ingesting fluids if needed. Running properly hydrated will more than make up any extra time taken to do so. Do not feel compelled to down an entire cup of water. While squeezing one side of the top of the cup, take a sip or two, or more if needed. Be mindful of other runners while disposing trash. Toss cups in waste receptacles when possible, or close to the course for volunteers to pick up later in the day. Remember to thank aid station volunteers! Grab that water bottle and hydrate continually throughout the day. Though hydration needs will subside with decreased activity, keep fluid intake up to allow for optimal recovery and performance once training is resumed. Ingesting too much water can result in water intoxication, also known as hyponatremia. Electrolyte replacements in the nutritional form of energy drinks, powders, gels and solids during training and racing are highly recommended. Learn what will be offered at your event and train with it prior to race day in order to avoid potential upset stomach. Otherwise carry your own preferred form of nutrition. We are all unique, but can master our individual hydration needs through training, experience and flexibility. This is a guest post from Running Fit. 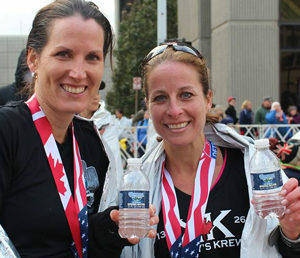 Absopure Water is the official water sponsor of all Running Fit races. 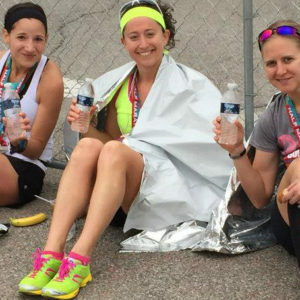 About Running Fit: Running Fit, Inc. has had a twenty-eight-year love affair with Michigan and the running community. Not only does Running Fit, Inc. promote individual wellness through its seven retail stores, but also through Running Fit Adventures, Inc., an event marketing company with the primary goal to help everyone “Get Out and Run, Walk and Be Healthy” and Running Fit Timing, a race timing company. Our unique and quirky way of reaching the community makes us stand out. Our concern for individual health, for community wellness, for charitable endeavors and for the environment makes us progressive activists who make a difference! For more information about Running Fit, click here.